1. Garland’s new gig. 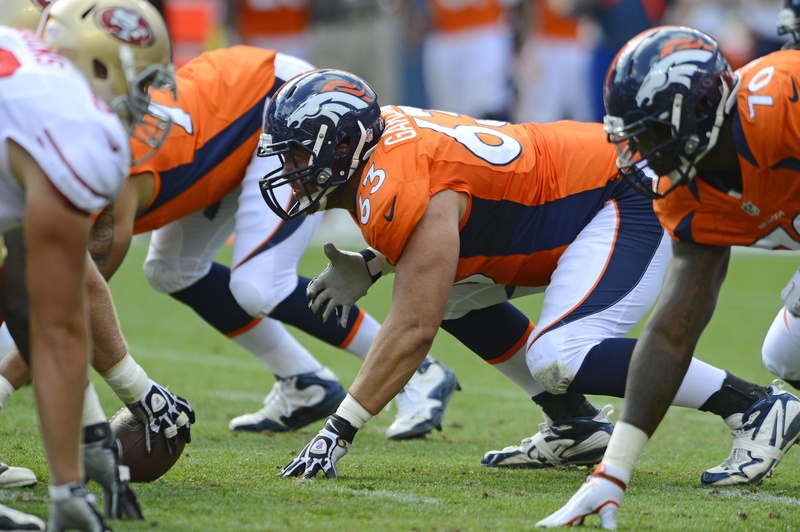 Star Air Force defensive lineman Ben Garland joined the Broncos in 2010, left for active-duty Air Force service in 2011 and came back in 2012. The first lieutenant returns to Denver in 2013, but on the other side of the football — The Denver Post reported he’ll play offense this time around. He has not reached the active regular-season roster during his short NFL tenure. And he’ll also need to update his Twitter background picture. 2. Black Knight to black bird. As reported first by Army football guru Sal Interdonato, Army quarterback Trent Steelman has inked a free-agent deal with the Baltimore Ravens. Steelman’s agent talked to Interdonato for this piece. The highlights: Army’s four-year starting QB will work out as a wide receiver, safety and special teamer for the Ravens and has signed a three-year contract. NFL contracts are nearly never guaranteed, however, and there is still the matter of Steelman’s active-duty service requirement of at least two years. 3. Another Army star. Reserve 1st Lt. Collin Mooney, now a fullback with the Tennessee Titans, visited 13 area high schools as part of his recruiting mission, according to this Army release. 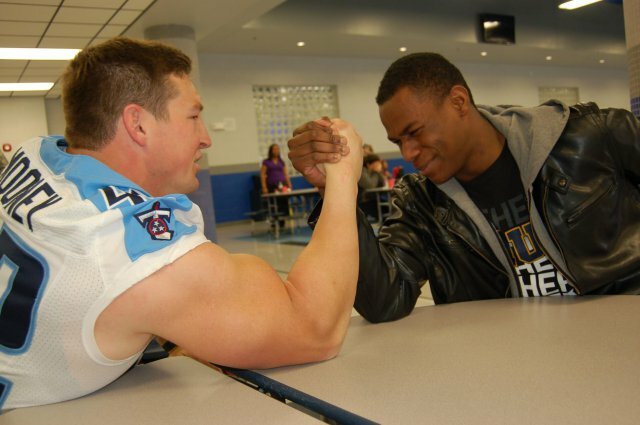 The highlight of the two-state tour may have been Mooney answering an arm-wrestling challenge from Lebanon High School senior Ladarian Allison. The challenge is pictured at left. Read the release to see who won (Hint: It’s exactly who you think it is). 4. Scheduling notes. Our good friends at USA Today offered this piece on Mountain West Conference football scheduling, saying the league’s commitment to an eight-game conference slate showed how much it values the Falcons. Many leagues have moved to a nine-game format; the extra nonleague opponent gives Air Force a chance for some breathing room, since its out-of-conference slate already includes Army and Navy. Also on the scheduling front, our good friends at FBSchedules.net report the Mids have added Georgia StateSouthern to their 2014 schedule, Navy’s last year of independence before joining the American Athletic Conference. The move finishes off a 12-game slate that includes big-name powers (Notre Dame, Ohio State, Rutgers) and a number of schools with less-impressive track records (Georgia Southern, Temple, Texas State, South Alabama, Western Kentucky, VMI).